►Standard:Bluetooth 4.0 BR/EDR/LE Smart Ready compatible. 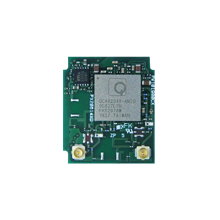 The CFN906A is a dual-band 802.11a/b/g/n plus Bluetooth SDIO module that is based on the CFN906A (Qualcomm Atheros QCA6234). It supports both 1x1 and 2x2 antenna confgurations.The CFN906A in 2x2 MIMO mode offers improved WLAN throughput, range and robustness to portable devices including patient monitors, printers, handheld terminals and more. 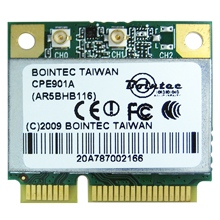 The CFN906A is pre-tuned for the most optimized dual-band WLAN performance. 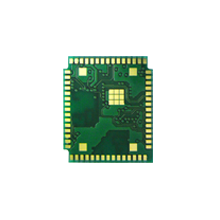 The radio module design approach also saves cost as the CFN906A provides FCC/IC/ETSI/TELEC modular certifcation.The CFN906A provides superior product quality. 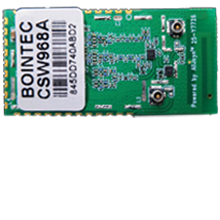 Bointec has validated that our design meets IEEE standards and each module is individually tested during the production process. This ensures that each of our products will perform to our published specification.